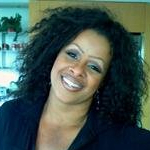 THE BEAUTY FILES WITH JUANITA DILLARD HAS GAINED A TREMENDOUS FOLLOWING DELIVERING GREAT INFORMATION ON BEAUTY, FASHION, HEALTH, FITNESS AND CELEB CHAT. Want the juice on the latest diet trends in Hollywood? What do the top magazines say about new trends on the horizon? Need information on what restaurants you should be eating at? What about the latest in fashion for men and women? The Beauty Files covers all that and much more!